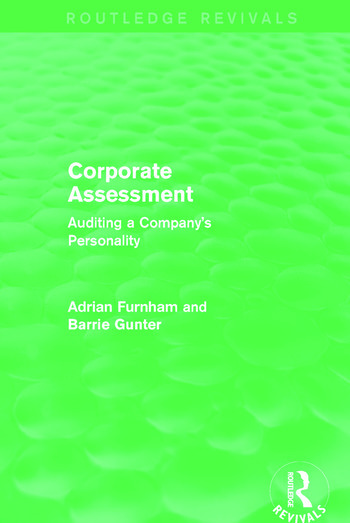 Corporate Assessment, first published in 1993, looks at four types of company audit and provides a pragmatic, readable guide for managers. The authors show how assessment of a company in terms of its culture, climate, communications and customers can enhance management vision and lead to recommendations designed to improve employee satisfaction, motivation, loyalty and performance. Insight is provided into the kinds of measurement tools and assessment techniques that are available, and the authors offer recommendations for the use of these instruments, and how best to utilize the information they can produce. This book will not only be of interest to managers who need to assess their companies, but to students of business, organizational psychology, and human resource management.